When faced with a need for remediation, whether driven by regulatory pressure, property transfer, or storage tank maintenance and upgrades, it is important to work with a services team who can provide a wide range of technologies. In-situ applications, excavations, demolition, or a combination of technologies will usually provide the most efficient remedial solutions. CEMCO employs an extensive staff specializing in confined space entry, excavation safety, shoring, dewatering, and the transportation of both solid and hazardous wastes. 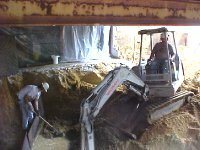 This in-house expertise, along with company-owned excavation and transportation equipment, ensures that if there is a project change, a customized solution is just a phone call away. CEMCO provides services to all private, municipal, governmental, and industrial clients. 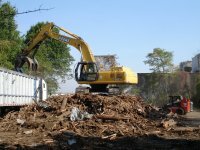 We provide Less-than-Truckload (LTL) transportation and disposal services, sharing transport costs among our customers, as well as contract work at Superfund sites and multiple property site remediation costing hundreds of thousands of dollars. 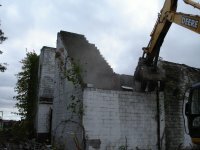 CEMCO’s specialty equipment works under a building preventing demolition and rebuilding costs.